The Fawnsberg Pen Set from Galison combines an exuberantly folksy style with quality writing tools to create something truly special. 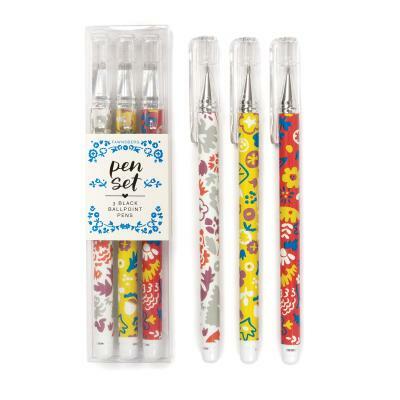 The set of three black ballpoint pens are decorated with colorfully floral patterns and packaged in a clear acetate box. Each pen features a unique design.